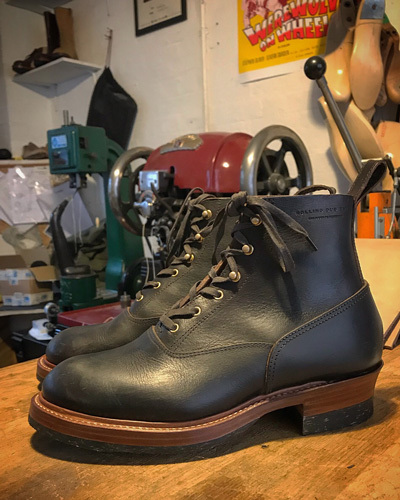 As mentioned in our previous post, when you invest in a pair of “boots for life” there is a very strong likelihood that no matter how good a quality the sole is, at some point, you will need to treat your boots to a new one. Enter this man: Felix Jouanneau. 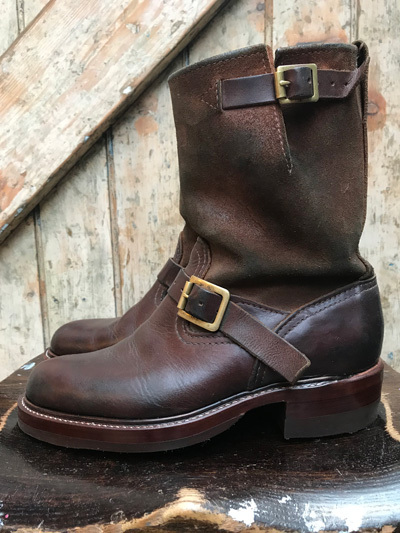 If you are in the UK (or not) and would like your boots to receive the care and attention to detail and retain the style that they were originally accustomed to, then unless you have found an alternative, you are going to want to get in touch with Felix. 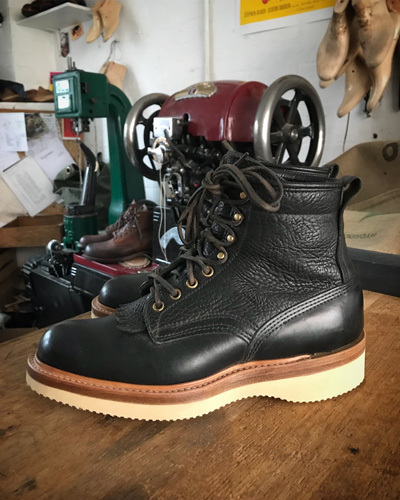 We first became aware of Felix through his early posts on social media where he was showing some of the resole work he had done on the type of boots you will see on East West, mostly work/ outdoor/ riding styled boots. We were very impressed with every aspect of what we would consider a good resole such as re-welting, good choice of soles, neat uniform stitching and overall high standards including the all important trim and finish. 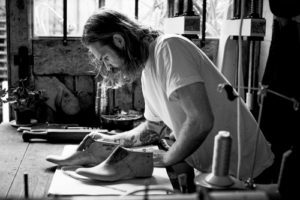 It’s not easy to find a boot maker/ repairer who takes this level of pride in their work, but in Felix we think we’ve found one. 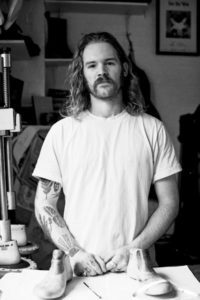 Felix has been making and repairing boots for some years now and was initially inspired by a trip to Florence where he saw traditional shoe making in progress. 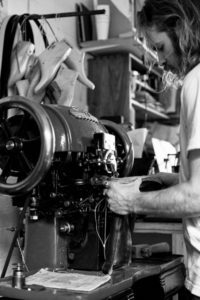 That visit, combined with a natural desire to work with his hands and his appreciation of all things leather, led him within a few years to where he is now: in his own workshop in East London busily making and fixing boots. The majority of the boots you see on East West Apparel will be either stitch down or goodyear welted construction (more to come on this in the useful info section and a soon-to-come blog post). 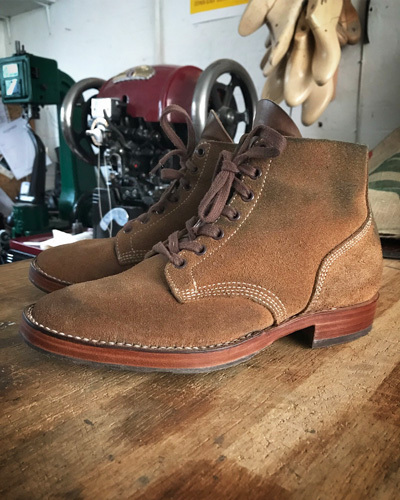 There are plenty of other construction methods for footwear, but you will see these two used most in high quality non dress shoes and boots for a number of very good reasons. When it’s time for a fix up, change or resole we believe Felix has the skill, equipment, willingness and attention to detail for the job. Take a look at some of the resole work Felix has done below. 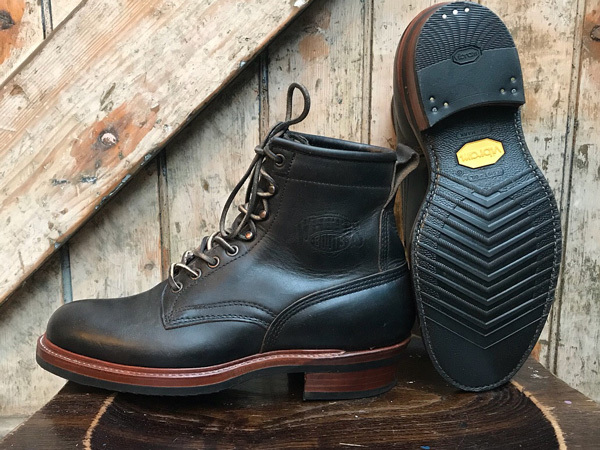 There are some well made boots there from makers such as White’s, Rolling Dub Trio and Viberg showing a resole with a finish as close to the original, if not better in some cases. 2: Viberg BD’s resole with added halfsole. 3: Storm welt and resole with vibram wedge/ 2030 sole. 4: Neat resole of a pair of engineers. 5: Great resole and added storm welt to a pair of White’s #55 SmokeJumpers. He prices himself accordingly, is helpful and accommodating to deal with and we are confident he will do a great job with your treasured footwear. Any other questions or feedback then please get in touch with us.